All right! I love this week’s photo challenge! I have wanderlust, and I have it bad. I’ve had it since childhood, when my parents would drive the three of us across the country in our camper from Kentucky to California each summer to visit my grown sisters and their families. I would spend the hours mesmerized by the changing landscape or playing navigator for my dad. Such wonderful memories! These days I don’t have to travel far to satisfy my need to wander. As you know, if you follow this blog, trips to the Oregon Coast often provide the opportunity for solitary rambles and new discoveries. 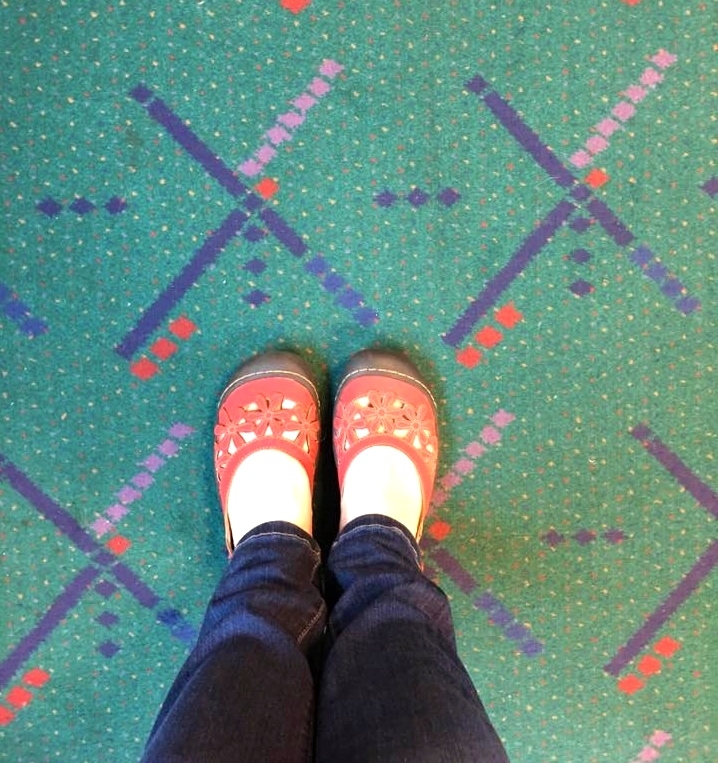 However, for this week’s challenge, the first image that popped into my mind was the iconic PDX (Portland International Airport) carpet. Locals often take pics like these when leaving for new trips or when arriving home. The carpet was replaced a few years ago, but if you know where to wander, you can still find a section of the original pattern. This is the original design.